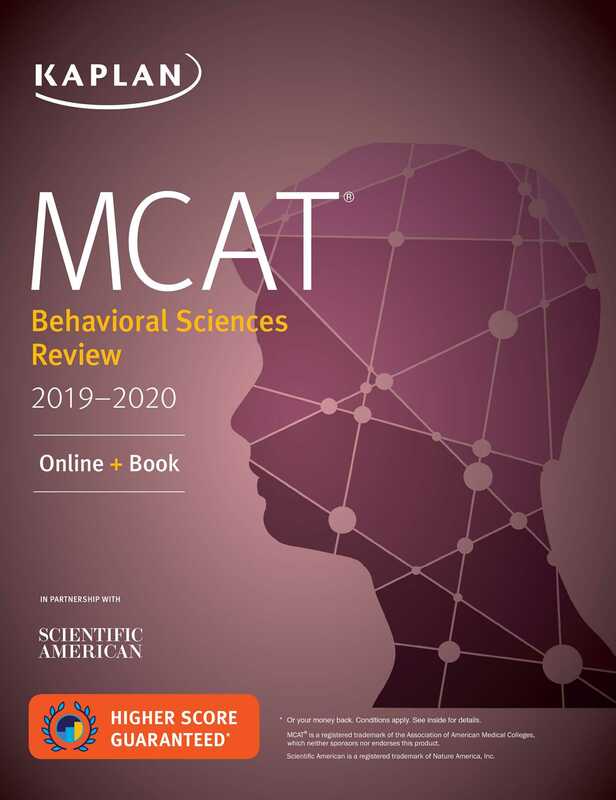 Kaplan's MCAT Behavioral Sciences Review 2019-2020 offers an expert study plan, detailed subject review, and hundreds of online and in-book practice questions – all authored by the experts behind the MCAT prep course that has helped more people get into medical school than all other major courses combined. Prepping for the MCAT is a true challenge. Kaplan can be your partner along the way – offering guidance on where to focus your efforts and how to organize your review. This book has been updated to match the AAMC's guidelines precisely—no more worrying if your MCAT review is comprehensive! More than 350 questions in the book and access to even more online – more practice than any other MCAT behavioral sciences book on the market. Comprehensive behavioral sciences subject review is written by top-rated, award-winning Kaplan instructors. Full-color, 3-D illustrations from Scientific American, charts, graphs and diagrams help turn even the most complex science into easy-to-visualize concepts. All material is vetted by editors with advanced science degrees and by a medical doctor. Online resources, including a full-length practice test, help you practice in the same computer-based format you'll see on Test Day. High-yield badges throughout the book identify the top 100 topics most-tested by the AAMC. We know the test: The Kaplan MCAT team has spent years studying every MCAT-related document available.